ICT suites, libraries or group computer areas. 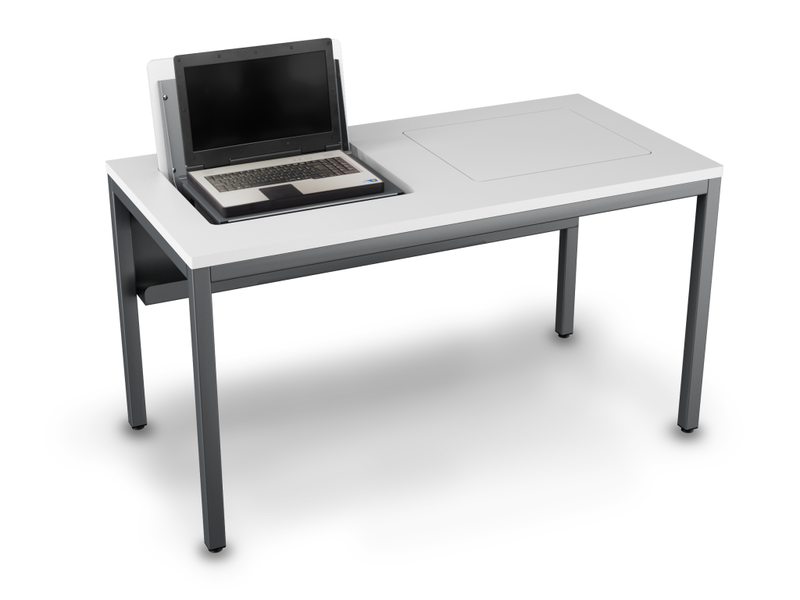 The multi-purpose school & college laptop desk enables teachers to use ICT in lessons as they wish, with laptop power & data already securely connected and without the challenges of getting laptops in & out of trolleys. 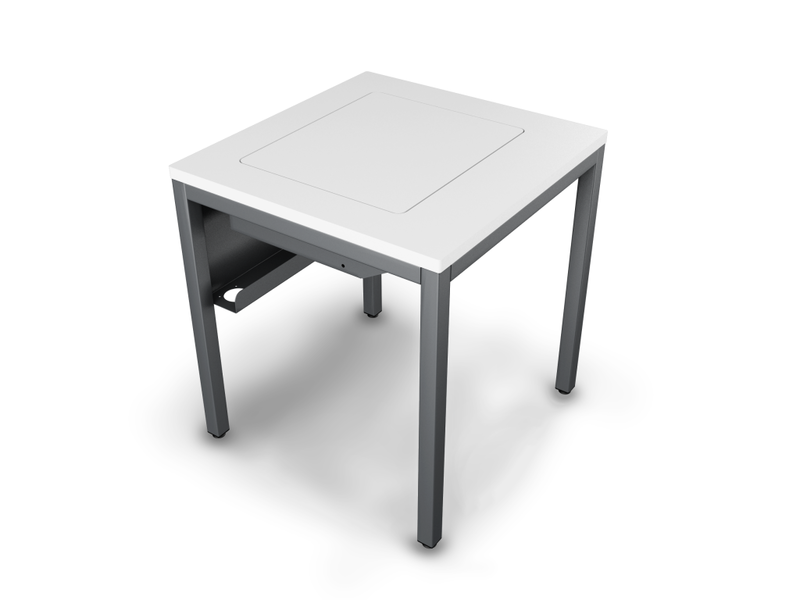 When closed and locked, the laptop computer desk provides a secure home for the laptop and a clear desk. 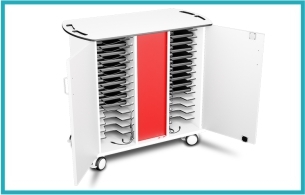 Fits almost any laptop in single, double or multiple laptop table configurations. Available in 8 different colours. 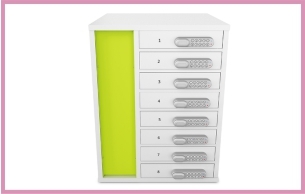 For classrooms, ICT suites and anywhere you need to lock away, charge & use laptops.